All our series covers have UltraDome Technology and differ only in thickness (micron) of the material used. This micron difference affects the life of the cover and the Daisy pro-rata warranty. If the step area is not right on the end, measure the distance up from the end of the pool as per the illustration, and insert the measurement in the "Distance Step Up if reqd" box above. 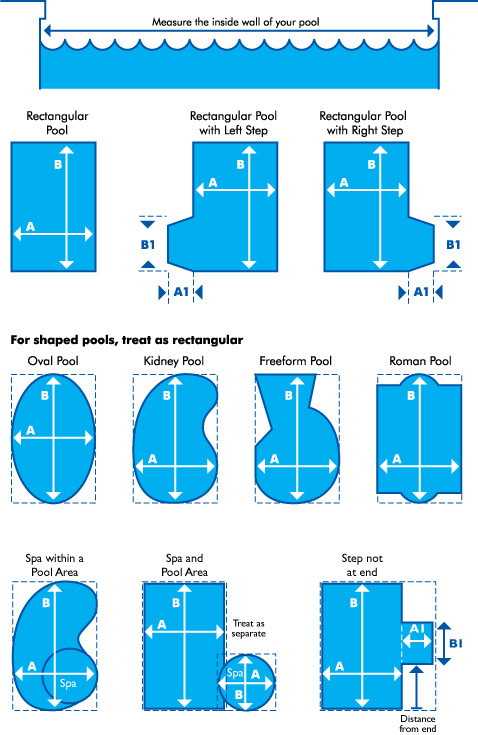 An odd shaped pool should be treated as a rectangle as set out below. You simply place the rectangled cover over the pool and cut it to shape. 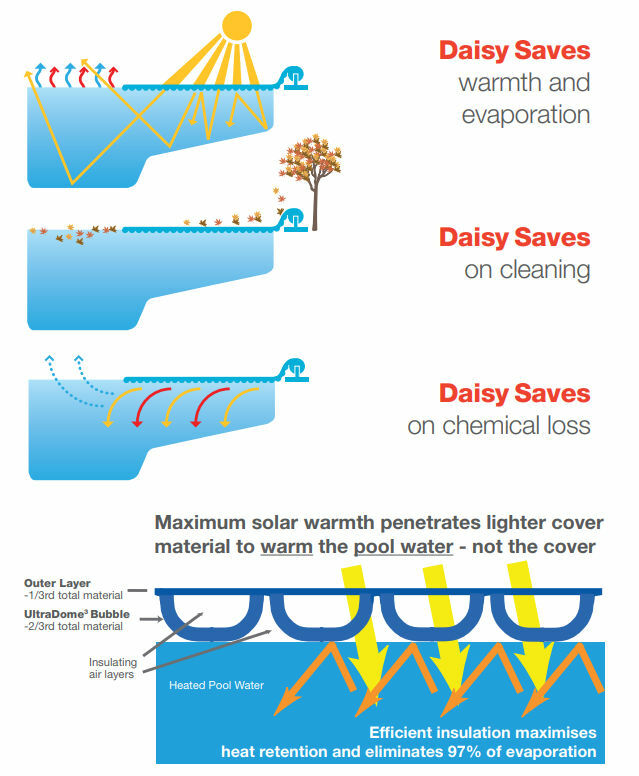 Click the button below to add the Solar Pool Blanket - 250 Micron, 400 Micron, 525 Micron, Non Heating to your wish list.